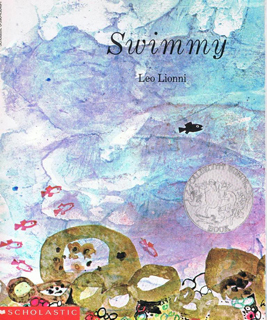 Do you remember Swimmy, the picture book by Leo Leonni about a little fish alone in the sea? It's been on my mind this month. Not to spoil the ending, but Swimmy becomes a hero by helping a school of fish band together to chase off predators. They couldn't have done it by themselves, but together they're stronger and bigger than the other fish who would eat them. It may be an imperfect metaphor, but Swimmy has relevance to a much bigger issue. February 29 is National Rare Disease Day, and its slogan couldn't be more appropriate: "Alone we are Rare. 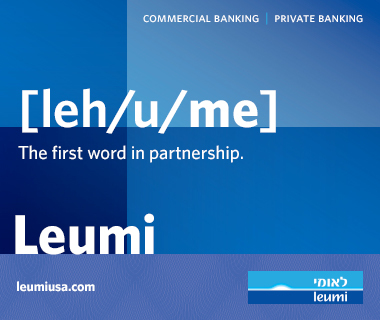 Together we are Strong." So what is a rare disease? In the United States, it's a condition that affects fewer than 200,000 individuals, which is about the population of Aurora, Illinois. The disorders that I talk about working at the Chicago Center for Jewish Genetic Disorders are rare, though within the Jewish population, their carrier rate can be much higher than in the general population, which is why we encourage carrier screening and genetic testing before couples have children. The National Institutes of Health keeps a registry of rare diseases, and has counted nearly 7,000 separate diseases affecting 25 million individuals. Because they're often related to genetics, rare diseases disproportionately affect children; nearly a third are fatal before the age of 5. The need for research and cures is obvious—and yet for a large number of families, treatments are not available. Diagnoses can be hard enough to acquire. Why is that? The truth is that there are lots of gigantic fish in the sea, and they're the ones who get the attention—and the research grants. When a funding committee is asked to give an equal amount of money to a team hoping to treat millions of individuals versus one focusing on a few thousand, it's the rare disease researchers who lose out. What can we do? Rare Disease Day USA has a list of links, resources and suggestions, including how you can reach out to elected representatives to bring attention to the issue of rare diseases. It also talks about how you can reach out to advocacy organizations, schools, media outlets and more to become an ambassador for rare disease research—and affected individuals and their families. Within the Jewish community, we are especially lucky to have some history with educating each other about genetic health issues. Tay-Sachs disease once seemed insurmountable; whole hospital wards were dedicated to caring for affected children. But thanks to community mobilization and screening programs, which began in the early 1970s, it now occurs with lower incidence than in the non-Jewish population. The panel of "Ashkenazi" disorders which can hopefully be avoided through screening has expanded to at least 19 today, and seems to increase at an exponential rate. There are also a growing number of resources for Sephardic and Mizrahi families, including the Persian Jewish Genetic Screening Program at Cedars-Sinai Medical Center in Los Angeles. Here in Chicago, the Center offers education and screening programs at a highly subsidized rate. Like in Swimmy, our community has come together to help each other do what they can for having healthy families. An imperfect metaphor, maybe, but every effort starts with one voice. You can make it many. Remember rare diseases on February 29!